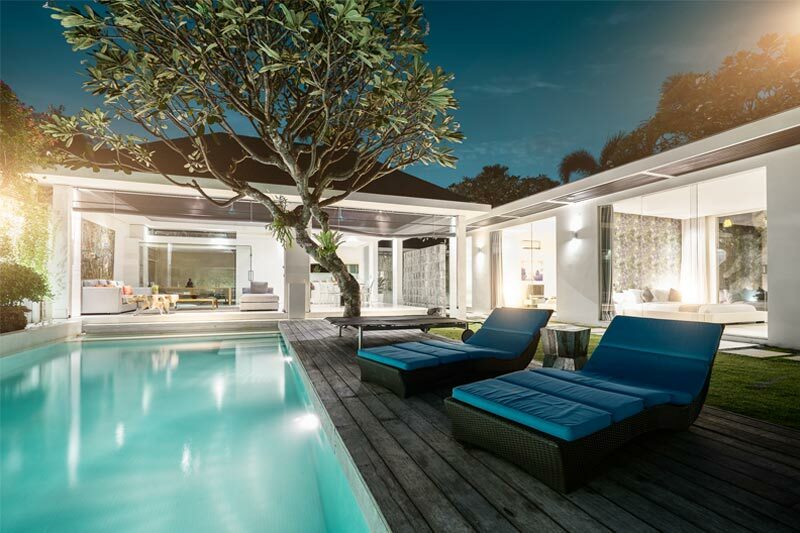 villas in tranquil gardens exude Bali style. you’ll want to stay in for. perfect for relaxation and play. in your own private villa. Chandra Villas have been built over the past 8 years as a family home away from home; a place to escape the realities of hectic lives in big cities. It’s a place designed to allow you to feel the comfort of home while receiving the attentive service of a family who cares, without the emotional attachment. It could only be in Bali, where the natural perspective of your Balinese “family” is to have time to stop and smell the flowers. Services offered facilitate rest, relaxation and rejuvenation in no particular order or prescription. This is not a hotel with villas; this is a private villa with services offered within the private compound. If you want a massage, it’s in your villa. Meals, cooked by our chef in the villa kitchen. Yoga, Pilates and martial arts sessions, offered in the garden. Babysitting? Again, in the villa, allowing you to spend time with your children without playing the security role all day. If you fancy cooking for yourself, groceries can be ordered in and delivered quickly, and of course your laundry is taken care of too. The aim at Chandra is to make your holiday all about you. When and how you want it. Because Chandra is located in the center of Bali’s most cosmopolitan neighbourhood, there are facilities close by. Chandra partners with Cocoon Medi-spa for treatments, which you can combine with an in-villa juice detox or with Vin+ if wine is more your kind of wind down. We extend membership to the Canggu Club for tennis, sports, gym workouts and water-slide action for the kids. There’s the surf-school on the beach that’s a 10 minute walk away and then of course all the cafes, restaurants, bars and shopping of Seminyak Eat Street. The car waits for your call to drop you in the thick of it. Of course, our front desk offers concierge services too in the case you’d like to explore Bali’s rich cultural heritage or simply experience the great natural beauty of the island, perhaps with a hit of adrenaline to boot. 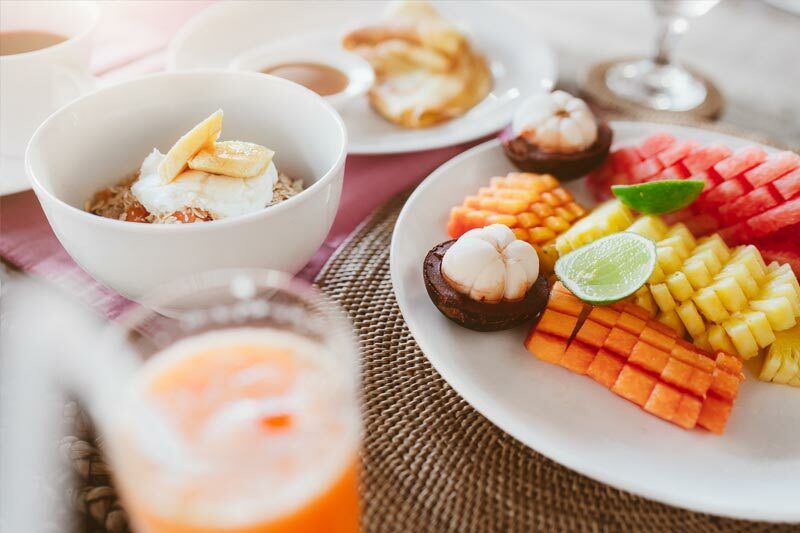 If you’re keen to stay all day at the villa, our Butlers can arrange all manner of special treats from a flower filled bath and breakfast in bed to a BBQ with Balinese Dancers for a dozen friends. That’s what Chandra service is all about. When and how you want it. Just talk to us.